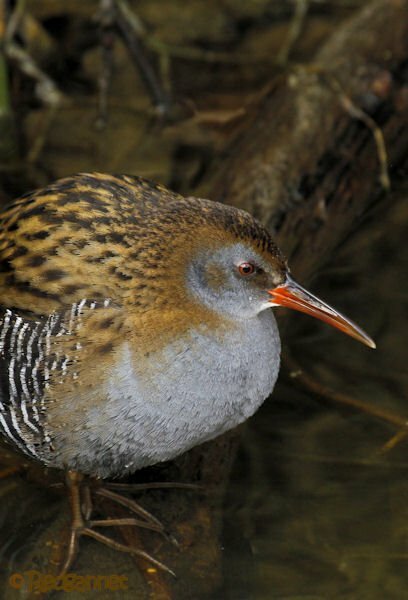 Each time I see a rail, it confounds the conventional wisdom that these are secretive, crepuscular birds. During a recent walk, I brought along my wife instead of my binoculars and camera. This proved to be a mistake in so many ways. The Lady Gannet is given to chat and can be quite distracting with her monologues on kitchen flooring and the virtues of eggshell paint. Despite the background noise, which I have learned to filter, I can usually cast an eye around for something interesting to interrupt her with. On this occasion however, her chatter was interspersed with phrases such as “don’t you think?” and “anyway, they are starting on Monday”. Such phrases are calculated to ring alarm bells and I sometimes think she does it on purpose. 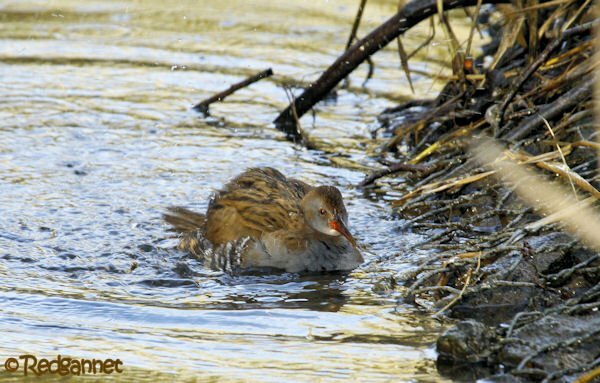 As we crossed the bridge over the outflow from the lake in Mote Park, I glanced downstream and right in the middle of the flow on a mat of tangled debris, sat a Water Rail, Rallus aquaticus. As we watched, the rail skipped into the water and made its way to the edge. It proceeded to come upstream towards us until it was almost beneath our feet. It seemed oblivious to the people walking their children and dogs and appeared not to hear Lady Gannet bleating on about how well grey grout would work with cream wall tiles. I had an opportunity to return a few days later, but this time took my optics which have the advantage over my wife of not complaining about the cold or the distance from the nearest toilet. 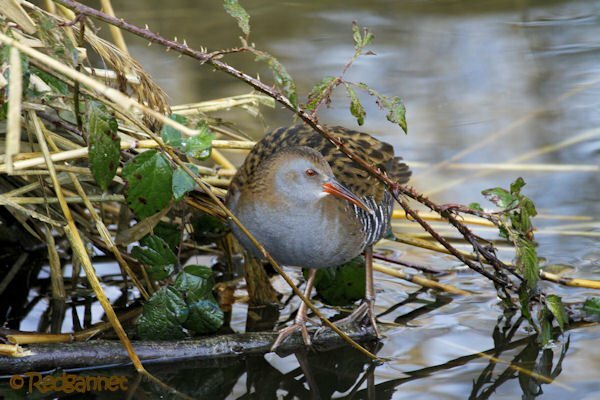 The Water Rail was just as confiding as it had been before. One could almost say it was bold. 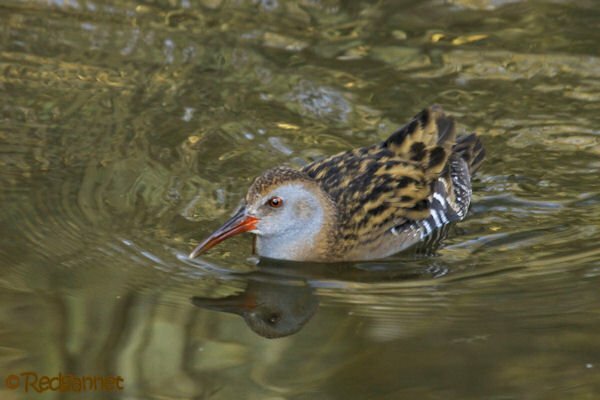 It held its own against a number of mallards and coots who were squabbling over thrown food. 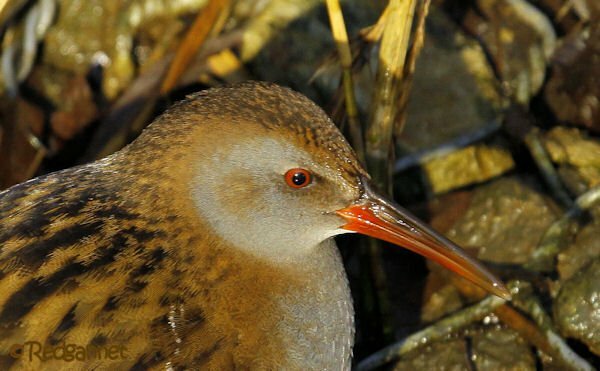 It hopped into the reeds when a dog leapt in to chase the ducks off, but reappeared within moments to finish up the food that the scaredy ducks had left behind. 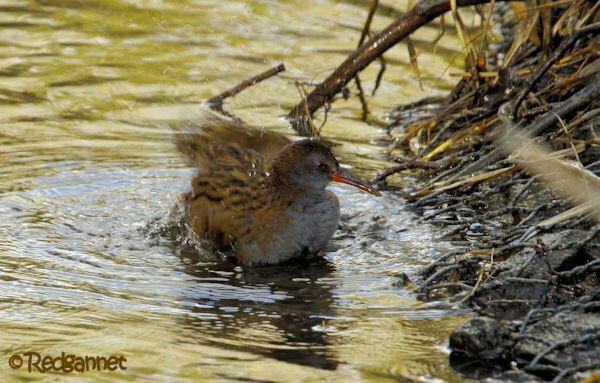 Having eaten its fill, it moved slightly downstream to bathe and preen. I left it just before midday having watched it for about 45 minutes, my opinion of conventional wisdom in tatters. This post is insane!! Very well done. “Each time I see a rail…” really hurt. I never see them, only hear them at best. 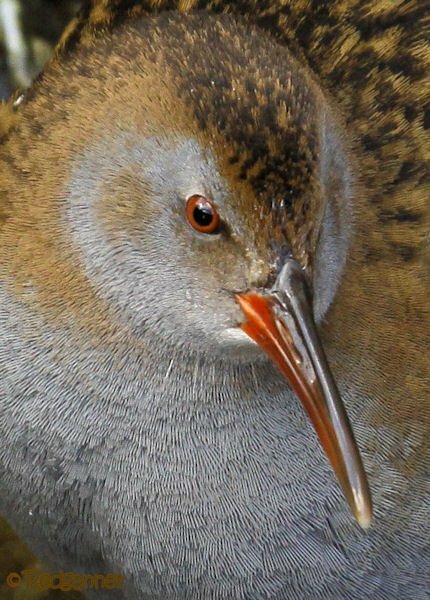 My worst heard-only group, visual nemesis birds! I scarcely can believe your pics are real!